Homeowners in the San Diego, Escondido, Chula Vista and Oceanside areas should be aware of the important role attic insulation serves in keeping their home properly ventilated. Many individuals use their attic to store junk, and unfortunately this often leads to a cluttered mess that can cause unwanted issues. Keeping your attic clean and combating the clutter is important for proper air circulation to occur throughout the property. To ensure your home safety, call the team of attic cleanup experts at 911 Restoration of San Diego County. Our team of highly trained expert technicians understand the vital role proper insulation plays for a home. Because a clean attic heps the air to flow more properly, it also plays a large role in helping homeowners in their effort of becoming more energy efficient. In addition, it can help to save money on utility bills. Attic cleaning is important to keep your home in optimal condition and should occur on a regular basis. If your homes ventilation seems to be running improperly, call the team of attic cleanup experts at 911 Restoration of San Diego County. They will provide whatever attic cleaning services are necessary to get your insulation running efficiently and reduce those energy bills. Get your property on the path to a fresh start and regulate your home’s energy intake by calling 911 Restoration’s team today. There are a number of reasons your attic could need cleanup services. One issue many homeowners face that calls for attic cleaning is rodent infestations. When animals make your attic their home, it can cause a lot of damage and leave behind an even bigger mess. By calling the team at 911 Restoration of San Diego County for attic cleaning services, your attic will be restored back to pre-damage condition. Making sure their belongings don’t get destroyed. Many homeowners leave boxes of their favorite memories in the attic, attic cleanup services help to ensure that these items are not destroyed due to weather conditions, rodents and more. Attic cleaning is important for your home safety. It helps to keep the air circulated and prevent issues like mold, cobwebs and dust. 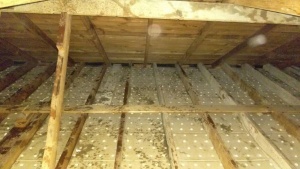 When your attic is kept clean you are less likely to experience ventilation issues. When rodents like mice make your attic their home, they leave behind hazardous conditions in their waste. Unfortunately, many rodents carry parasites and diseases that can linger after they have been extinguished. The attic cleanup experts will know to look for any hazardous material left behind and clean it thoroughly to ensure your safety. Whatever your need for attic cleaning services may be, 911 Restoration of San Diego County is able to provide them. Our team has the knowledge, experience and training to combat the worst attic cleaning issues and will work diligently to get your home on the path to a fresh start. If you are unsure whether or not your attic needs cleaning, our team will provide a free inspection to better determine what services you are in need of. 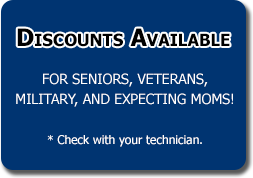 You can count on our highly trained technicians to get your attic back to optimal condition. We want to make sure your home and personal property are well taken care of. Your health is our number one concern, therefore you can guarantee we will provide whatever services are needed to get your attic back to its optimal condition. Call the highly trained attic cleanup team at 911 Restoration of San Diego County today. 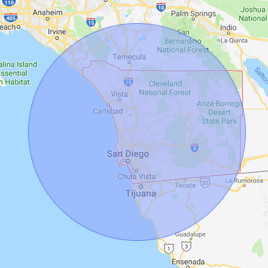 Proudly servicing Alpine, Bonita, Bonsall, Borrego Springs, Bostonia, Boulevard, Camp Pendleton, Campo, Carlsbad, Casa de Or-Mount Helix, Chula Vista, Coronado, Crest, Del Mar, Descanso, El Cajon, Encinitas, Escondido, Fairbanks Ranch, Fallbrook, Granite Hills, Harbison Canyon, Hidden Meadows, Imperial Beach, Jacumba, Jamul, Julian, La Mesa, La Presa, Lake San Marcos, Lakeside, Lemon Grove, Mount Laguna, National City, Oceanside, Pine Valley, Poway, Rainbow, Rancho San Diego, Rancho Santa Fe, Romona, San Marcos, Santee, Solana Beach, Spring Valley, Tecate, Valley Center, Vista, Winter Gardens and surrounding cities.